Money Talks. One mom we spoke to is annoyed that whenever she volunteers at her kid’s school, overseeing a big project, there’s barely a mention in the school newsletter if she’s lucky. The family who donated a major gift with a plaque for everyone to see gets a big “thank you” in the newsletter every time they bring muffins. Hummmph. Random? Over the years, we’ve heard from several sources that the admissions process at The UCLA Lab School (formerly UES) is a random lottery based on geography and ethnicity (the kids are not interviewed or tested), with an asterisk. The * is because certain families who check off income boxes on the application form of $500,000, $750,000/year can expect to receive a call from a board member asking if they will donate generously ($50K +/yr) to the school. This, we hear, happens before admissions letters are mailed. Not surprisingly, UCLA faculty are given priority. Random? You decide. Her Lips Should Have Been Sealed. A mom we know told us a story about how she wished she’d kept quiet about the schools she was applying to. She’d spent time researching schools, visiting them and figuring out where to apply. She made the mistake of raving about one school to a “friend” who unexpectedly decided to apply there too, using this mom’s research, information and application strategy. Guess whose kid got in? The mom who made the last minute decision to apply to one school! They are no longer friends. Fear Factor. 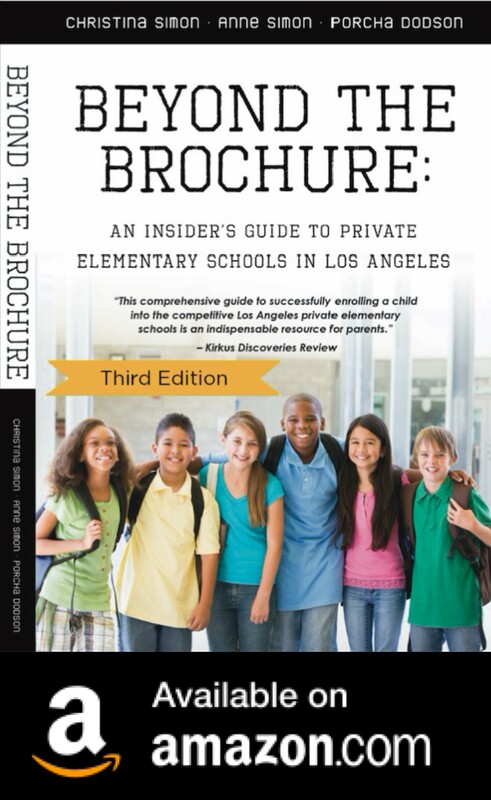 At one well respected LA school, the pressure is so intense from the head of school to ensure kids from the elementary school continue on to its middle school that parents have begun to refer to the families who gather the courage to leave as “the ones who got out”. Guest Blogger Jenny: Forget The Carpool. We Need A Bus.